Where are the sinuses, and what do they look like? 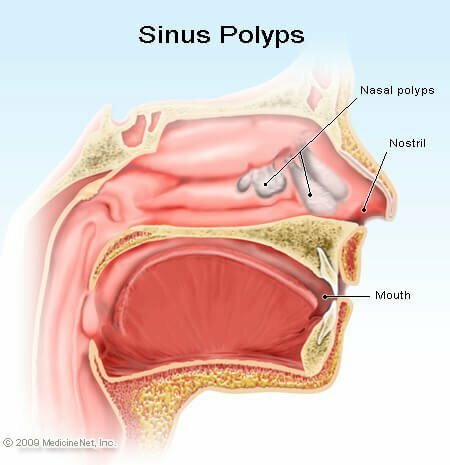 What are rhinitis and post-nasal drip? What are the symptoms and signs? Is rhinitis always related to allergies? What conditions cause an abnormal production of nasal secretions? What conditions cause an impaired clearance of nasal secretions? Which specialties of doctors treat chronic rhinitis and post-nasal drip? How can chronic rhinitis and post-nasal drip be treated? What medications can be used to treat rhinitis and post-nasal drip? What can be used to treat non-allergic rhinitis? Does salt water or nasal irrigation have any role in the treatment of rhinitis and post-nasal drip? What are other options for the treatment of rhinitis and post-nasal drip? Rhinitis is inflammation of the nose. Symptoms of rhinitis include runny nose (rhinorrhea), nasal itching, nasal congestion, and sneezing. Rhinitis is categorized into allergic rhinitis (hay fever), non-allergic rhinitis, and mixed rhinitis (a combination of allergic and non-allergic). One of the most common characteristics of chronic rhinitis is post-nasal drip, which is mucus accumulation in the back of the nose and throat that drips downward from the back of the nose. Post-nasal drip can cause sore throat, cough, or throat clearing. Treatment for rhinitis includes avoiding allergens, medications (both over-the-counter and prescription), and irrigating the nasal passages. Surgery is a last resort to correct any structural issues in the sinuses that may be causing the symptoms. The sinuses are air-filled bones in a dense portion of the skull bone, and they decrease the weight of the skull. Four right-left pairs form the sinuses. Rhinitis has many possible causes. Rhinitis can be either acute or chronic, and is categorized into three areas: allergic rhinitis, non-allergic rhinitis, and mixed rhinitis (a combination of allergic and non-allergic). People with allergic rhinitis also have a higher incidence of asthma and eczema, which are also mainly allergic in origin. Seasonal allergic rhinitis (hay fever) is usually caused by pollen in the air, and sensitive patients have symptoms during peak times during the year. Perennial allergic rhinitis, a type of chronic rhinitis is a year-round problem, and is often caused by indoor allergens (particles that cause allergies), such as dust and animal dander in addition to pollens that may exist at the time. Symptoms tend to occur regardless of the time of the year. No, rhinitis may have many causes other than allergies. Non-allergic rhinitis occurs in those individuals in whom an allergic or other cause of rhinitis cannot be identified, and the rhinitis occurs for weeks to months at a time for at least a year. These conditions may not have the other allergic manifestations such as, itchy and runny eyes, and are also more persistent and less seasonal. Idiopathic rhinitis often does not have a specific cause identified, but commonly includes upper respiratory infections. Gustatory rhinitis may present predominantly as runny nose (rhinorrhea) related to consumption of hot or spicy food. Rhinitis of pregnancy or, generally speaking, hormonal alterations as seen with pregnancy, menopause, and some thyroid changes have been linked to rhinitis. Atrophic rhinitis following extensive sinus surgery or from a rare nasal bacterial infection. Non-allergic rhinitis with nasal eosinophilia syndrome (NARES) is characterized by a clear nasal discharge. The nasal discharge is found to have eosinophils (allergic cell type), although the patient may not have any other evidence of allergy by skin testing or history or symptoms. Occupational rhinitis may arise from exposure to irritants at a person's workplace with improvement of symptoms after the person leaves the workplace. Infections, mostly viral, are a common cause of rhinitis. Viral rhinitis is usually not chronic and may resolve by itself. The following conditions are often associated with increased nasal drainage (runny nose). It is common to have more than one factor involved in a particular individual. The primary reason for impaired clearance of nasal secretions within the nasal cavities is from smoking. Smoking impairs the movement of the cilia (microscopic hairs) and their ability to push the secretions out of the nasal cavity to be swallowed. Other conditions that can impact clearance of secretions in the nose include allergies and some genetic disorders. Stress: Stress leads to muscle spasm or "lump in throat." Also a nervous habit of frequent throat clearing will make the situation worse. Narrowing of the throat due to tumors or other conditions: This will impair the passage of food. If chronic rhinitis and post-nasal drip is due to asthma you may see a pulmonologist, a specialist in conditions affecting the lungs. 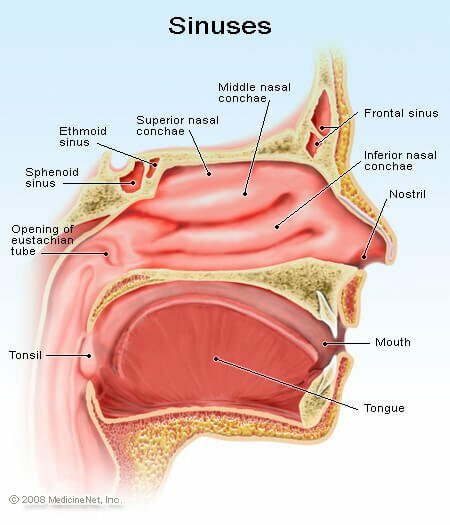 If the conditions are severe or recurrent, you may be referred to an otolaryngologist, also called an ear-nose-throat (ENT) specialist for further treatment. If you get chronic rhinitis and post-nasal drip during pregnancy you may be referred to your obstetrician/gynecologist (OB/GYN). If acid reflux disease (GERD) is the cause of your chronic rhinitis and post-nasal drip, you may see a gastroenterologist, a specialist in conditions of the digestive tract. The treatment is generally directed towards the underlying cause. Use a pollen mask when mowing the grass or cleaning the house. Install an air purifier or at least change the air filters monthly in heating and air conditioning systems. Use cotton or synthetic materials such as Dacron in pillows and bedding. Select dust-mite proof pillow covers. Keep windows closed during high pollen times. bathe pets frequently or do not adopt or purchase dander-producing pets. Avoidance of nasal irritants: Nasal irritants usually do not lead to the typical immune response seen with classical allergies, but nevertheless they can mimic or make allergies worse, as in vasomotor rhinitis. Examples of these irritants include cigarette smoke, perfume, aerosol sprays, smoke, smog, and car exhaust. Possible allergens may be identified by a very careful history taken by a health-care professional. Details of the patient's possible exposure to allergens or irritants at home or the workplace may give clues. An allergy specialist (allergy and immunologist) can perform skin tests to try to identify common environmental allergies. In addition to measures noted above, medications may also be used for the treatment and relief of rhinitis and post-nasal drip. For allergic rhinitis and post-nasal drip many medications are used. It also is essential to attempt to avoid the offending allergic particles. Intra-nasal glucocorticoids (steroid sprays applied directly into the nose) are often recommended as the first line of treatment. Steroids are potent anti-inflammatory and anti-allergic agents and may relieve most of the associated symptoms of runny and itchy nose, nasal congestion, sneezing, and post-nasal drip. These are generally used once or twice daily. It is recommended to tilt the head forward during the administration to avoid from spraying the back of the throat instead of the nose. These drugs, for example, prednisone, methylprednisolone (Medrol), and hydrocortisone (Hydrocortone, Cortef) are highly effective in allergic patients. They are best used for short-term management of allergic problems, and a health-care professional must always monitor their use, as there are potential serious side effects when using these medications for extended periods. These are reserved only for very severe cases that do not respond to the usual treatment with nasal steroids and antihistamines. Allergy medications such as antihistamines are also frequently used to allergic rhinitis and post-nasal drip. These are generally used as the second line of treatment after the nasal steroids or in combination with them. Histamines are naturally occurring chemicals released in response to an exposure to an allergen, which are responsible for the congestion, sneezing, and runny nose typical of an allergic reaction. Antihistamines are drugs that block the histamine reaction. These medications work best when given prior to exposure. Sedating, or first generation, for example, diphenhydramine (Benadryl), chlorpheniramine (Chlor-Trimeton), clemastine (Tavist). Sedating antihistamines should be avoided in those patients who need to drive or use dangerous equipment. Non-sedating or second generation, for example, loratadine (Claritin), cetirizine (Zyrtec),fexofenadine (Allegra). Non-sedating antihistamines can have serious drug interactions. Most of these are found over the counter. There is a nasal antihistamine preparation that has been shown to be very effective in treating allergic rhinitis, called azelastine nasal (Astelin). Decongestant sprays quickly reduce swelling of nasal tissues by shrinking the blood vessels. They improve breathing and drainage over the short-term, and their use should be limited to 3 to 5 days because of the potential for rebound addiction. If they are used for more than a few days they can become highly addictive (rhinitis medicamentosa). Long-term use can lead to serious damage. Oral decongestants temporarily reduce swelling of sinus and nasal tissues leading to an improvement of breathing and a decrease in obstruction. They may also stimulate the heart and raise the blood pressure and should be avoided by patients who have high blood pressure, heart irregularities, glaucoma, thyroid problems, or difficulty in urination. The most common decongestant is pseudoephedrine (Sudafed). Cromolyn sodium (Nasalcrom) is a spray helps to stabilize allergy cells (mast cells) by preventing release of allergy mediators, like histamine. They are most effective if used before the start of allergy season or prior to exposure to a known allergen. Montelukast (Singulair) is an agent that acts similar to antihistamine, although it is involved in another pathway in allergic response. It has been shown to be less beneficial than the steroid nasal sprays, but equally as effective as some of the antihistamines. It may be useful in patients who do not wish to use nasal sprays or those who have co-existing asthma. Ipratropium (Atrovent nasal) is used as a nasal spray and helps to control nasal drainage mediated by neural pathways. It will not treat an allergy, but it does decrease nasal drainage. Mucus thinning agents are utilized to make secretions thinner and less sticky. They help to prevent pooling of secretions in the back of the nose and throat where they often cause choking. The thinner secretions pass more easily. Guaifenesin (Humibid, Fenesin, Organidin) is a commonly used formulation. If a rash develops or there is swelling of the salivary glands, they should be discontinued. Inadequate fluid intake will also thicken secretions. Increasing the amount of water consumed, and eliminating caffeine from the diet and the use of diuretics are also helpful. These drugs are made up of one or more anti-allergy medications. They are usually a combination of an antihistamine and a decongestant. Other common combinations include mucus thinning agents, anti-cough agents, aspirin, ibuprofen (Advil), or acetaminophen (Tylenol). They help to simplify dosing and often will work either together for even more benefit or have counteracting side effects that eliminate or reduce total side effects. There are some combination nasal preparations available as well to target the tissue of the nose. The combination of azelastine and fluticasone (Dymista) combines a nasal antihistamine and steroid to help provide relief of seasonal allergic rhinitis symptoms. Treatment of non-allergic rhinitis is similar to the treatment of allergic rhinitis. Steroid nasal sprays and nasal antihistamines, for example, azelastine (Astelin) as described in more detail in the previous section, are the mainstay of therapy for non-allergic rhinitis. Combination therapy using steroid nasal spray and nasal antihistamine has been shown to be more beneficial. The other therapies, such as ipratropium (Atrovent) and decongestants also may be used in patients who continue to have symptoms despite proper therapy with nasal steroids and nasal antihistamines. Irrigating the nose with salt water is a home remedy that is very useful therapy for non-allergic rhinitis, and especially beneficial for treatment and relief post-nasal drip. Nasal irrigation utilizing a buffered isotonic saline solution (salt water) helps to reduce swollen and congested nasal and sinus tissues. In addition, it washes out thickened nasal secretions, irritants (smog, pollens, etc. ), bacteria, and crusts from the nose and sinuses. Non-prescription nasal sprays (Ocean spray, Ayr, Nasal) can be used frequently, and are very convenient to use. Nasal irrigation can be done several times per day. Nasal irrigation is frequently performed with a syringe, a Water Pik device (the attachment is purchased separately), or a Neti-pot. The irrigating solution can be made by adding two to three heaping teaspoons of non-iodized (does not sting) salt to one pint of room-temperature distilled water. It is best to use Morton Coarse Kosher Salt or Springfield plain salt because table salt may have unwanted additives. To this solution, add one teaspoon of baking soda. Store at room temperature, and always mix the solution before each use. If the solution stings, use less salt. In the beginning, or for children, it is best to start with a weaker salt mixture. It is not unusual to initially have a mild burning sensation the first few times you irrigate. While irrigating the nose, it is best to stand over the sink and irrigate each side of your nose separately. Aim the stream toward the back of your head, not at the top of your head. For young children, the salt water can be put into a small spray container, which can be squirted many times into each side of the nose. Treatment can also be directed towards specific causes of rhinitis and post-nasal drip as outlined below. The most common nasal infection is a viral infection known as "the common cold." The virus causes swelling of the nasal membranes and production of thick clear mucus. Symptoms usually last several days. If "a cold" goes on for many days and is associated with yellow or green drainage, it may have become secondarily infected by bacteria. Very few patients with a common cold from a virus will go on to have acute bacterial rhinosinusitis from sinus blockage and impaired sinus function. 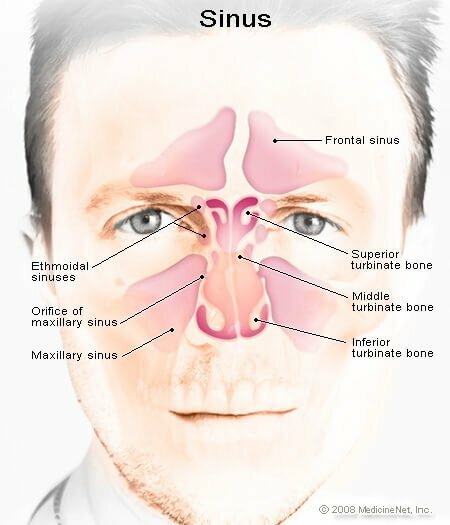 Sinus blockage can lead to acute sinusitis (less than 4 weeks in duration) or chronic sinusitis (lasting 12 weeks with continuous symptoms), which can be characterized by nasal congestion, thick mucus, and facial or dental pain. From 4 to 12 weeks, the symptoms are classified as subacute sinusitis or recurrent acute sinusitis. Symptomatic treatment often involves pain relief, decongestants, mucous thinning medications, saline rinses, and anti-histamine therapy. For rhinitis that is a result of acid reflux disease, antacids (Maalox, Mylanta) can help to neutralize acid contents, whereas other medications such as cimetidine (Tagamet), famotidine (Pepcid), omeprazole (Prilosec), esomeprazole (Nexium) can decrease stomach acid production. Non-pharmacological treatments include avoiding late evening meals and snacks and elimination of alcohol and caffeine. Elevating the head of the bed may help decrease reflux during sleep. Structural problems with the nose and sinuses may ultimately require surgical correction to cure them. This should be done only after more conservative measures have been tried and failed. Septal deviation, septal spurs, septal perforation, enlargement of the turbinates, and nasal/sinus polyps can lead to pooling of or overproduction of secretions, blockage of the normal pathways leading to chronic sinusitis, and chronic irritation. The surgery is performed by an ear-nose-throat doctor (otolaryngologist). Surgery can also enhance the delivery of nasal medications and rinses into the nasal cavities. American Academy of Otolaryngology - Head and Neck Surgery. "Post-Nasal Drip." American College of Allergy, Asthma & Immunology. "Allergic Rhinitis." Greiner AN, et al. Allergic rhinitis. Lancet. 2011 Dec 17;378(9809):2112-22. Halbert RJ, et al. International Primary Care Respiratory Group (IPCRG) Guidelines: integrating diagnostic guidelines for managing chronic respiratory diseases in primary care; Prim Care Respir J. 2006 Feb;15(1):13-9. Epub 2006 Jan 18. Levy ML, et al. International Primary Care Respiratory Group (IPCRG) Guidelines: diagnosis of respiratory diseases in primary care; Prim Care Respir J. 2006 Feb;15(1):20-34. Epub 2005 Dec 27. Laura Dean, MD. "Comparing Inhaled Nasal Corticosteroids." Updated: Oct 01, 2010. Peden, D. MD. "An Overview of Rhinitis." Price D, et al. International Primary Care Respiratory Group (IPCRG) Guidelines: management of allergic rhinitis; Prim Care Respir J. 2006 Feb;15(1):58-70. Epub 2005 Dec 27.